France’s food capital had long been on my list for a visit so I was glad to be able to include it as one of the final stops on my globally fancy odyssey. 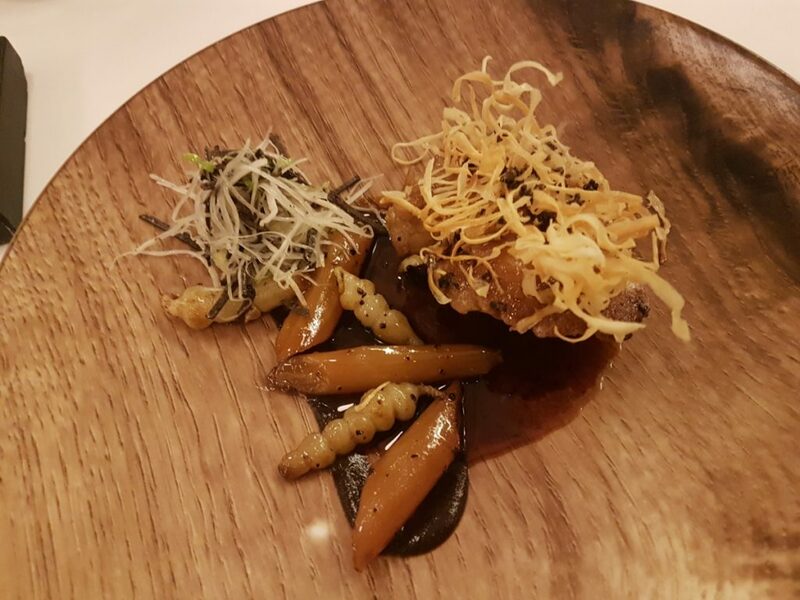 I started my time in town in the fanciest fashion I could muster with a trip to 2 Michelin starred Mère Brazier. 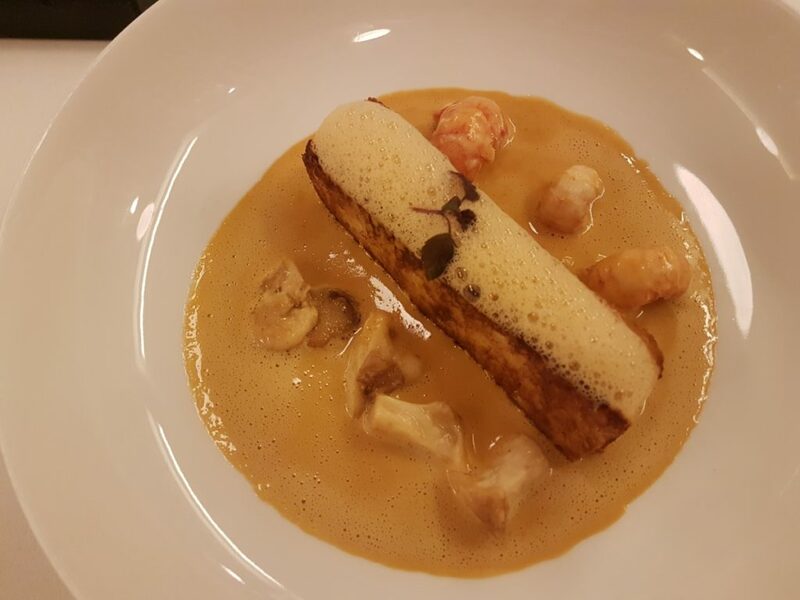 The place has an interesting story having been something of a focal point of food interest in the days of eponymous chef Eugénie Brazier whose original recipes and ethos have been reimagined under the modern-day stewardship of chef Mathieu Viannay. Chef popped out to say hello to each table during service which was rather nice. The menu offered a full a la carte along with tasting menu and what they called their classical menu. This was a menu of classics from chef Brazier’s days updated by chef Viannay. This seemed the way to go. As I sipped my now mandatory bubbles to begin with a paté en croute of foie grass and black truffle jelly was brought. It was a splendid little appetizer. An excellent bread selection with salted and unsalted butter along with incredible Arbequina olive oil followed. 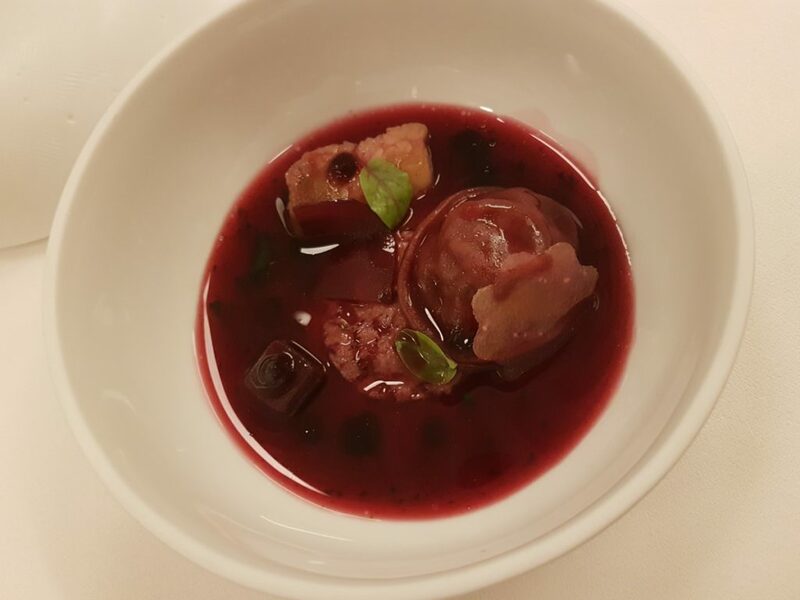 We then moved to the official amuse bouche which was a mushroom raviolo topped with warm beetroot juice. This was as earthy and forestal as it sounds. The first course was called artichoke and foie gras number 12. 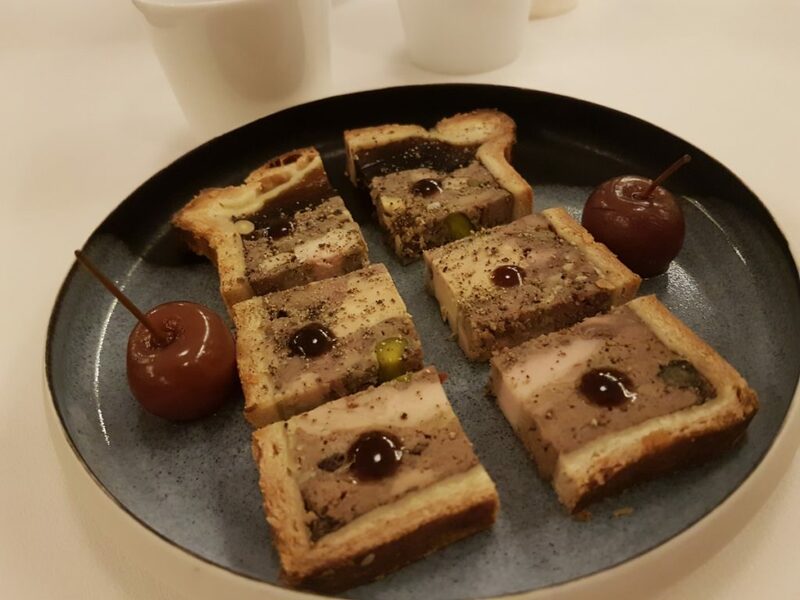 Having somehow missed artichoke and foie gras parts 1-11, I wasn’t entirely sure what to expect. 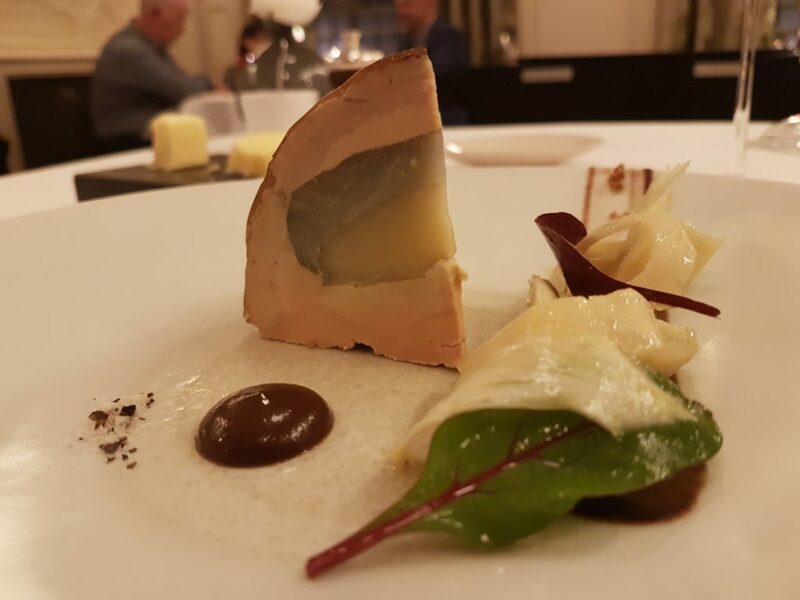 What arrived was an absolutely splendid dish with a hearty chunk of foie with an artichoke heart suspended within. It was an incredible balance of textures and flavours, rich yet vegetal. I loved it. Next was crispy pike mousse with crayfish. The texture on the fish was airy and light, almost like the lightest bean curd. It was a dish of deft skill. The veal sweetbread main recalled a very similar dish I’d had at Les Amis in Singapore. It got me thinking as to whether it was better eating classic French cooking on home turf or amazingly accurately recreated half way around the globe. It’s certainly one to ponder. 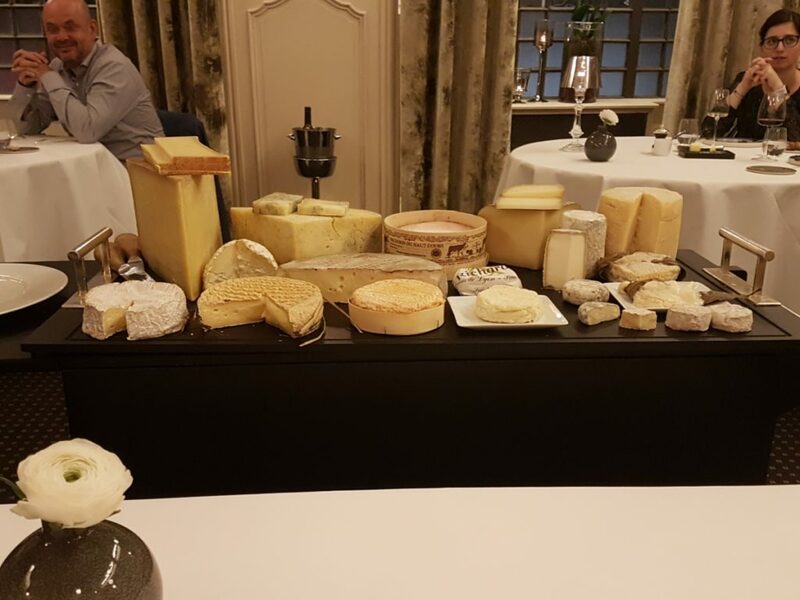 And then came the cheese. I left it to the affineur to pick my selection from a pungent board with the sole stipulation that epoisses had to feature. Everything was outstanding with the camembert amongst the best I’ve ever tasted. 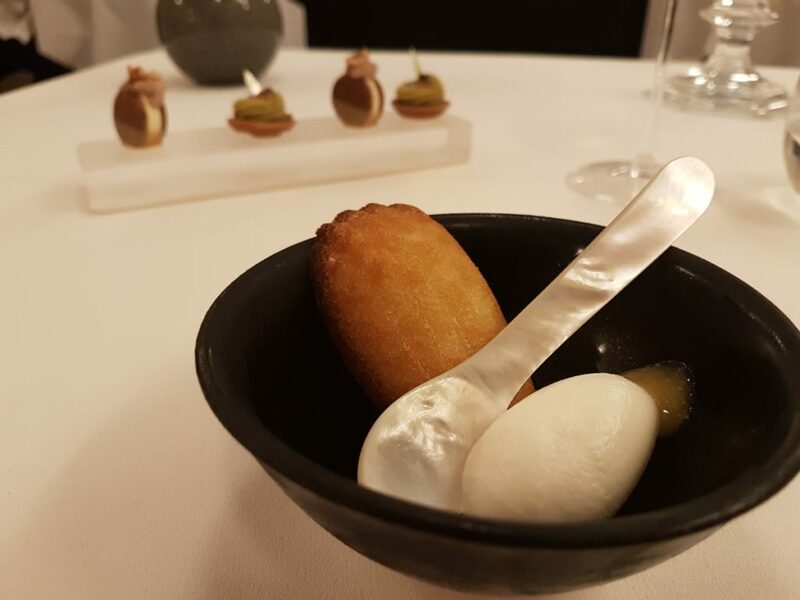 In lieu of a palate cleanser was a madeleine with clotted cream ice cream with a selection petit fours including a cracking pistachio tarte. 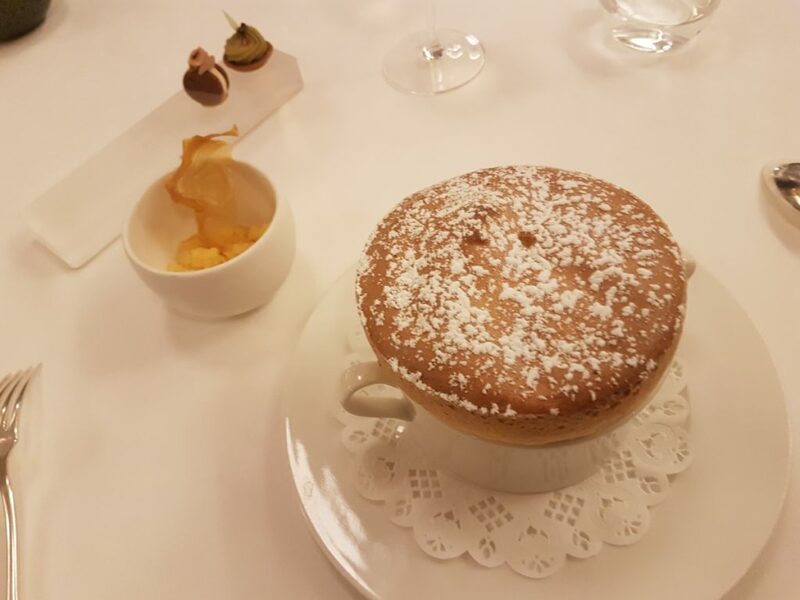 My dessert was a Grand-Marnier soufflé and it was absolutely spot on. I’d kept it to a dull roar on the wine front for a change sampling simply a couple of excellent local drops in a couple of small glasses. Overall, Mère Brazier was every bit the classic Lyon dining experience. Although it’s plenty pricey enough, this is very high quality cooking of extremely accessible and delicious dishes. It could serve as a very pleasing focal point of a gastronomic weekend in the city.